Today, I want to introduce guest blogger and blogging-fundi, Verushka Ramasami to you. For those of you that don’t know her, Verushka blogs over at Spice Goddess and is a total boss at blogging. She’s worked with major brands and also toured through Abu Dhabi, thanks to her awesome blog! One of the most common questions, I get from fellow bloggers and those wanting to start blogging is how they can connect with brands and make money. And my most common answer is do not blog for the freebies. After the first season of the Australian, Fashion Bloggers it was clearly obvious that the brand and the world were taking bloggers seriously and there could be money made from blogging. I watched each episode glued to my screen while scribbling down notes on the tips shared. I started following these Fashion Bloggers and started doing some of the tips they shared on the show. After this show was the article that was shared online on how to make money from Instagram , it showed the world yet again that bloggers had a place in the market as influences and Brand Ambassadors. Unlike the rest of the world, Blogging in South Africa is now catching up in terms of working with Brands and PR teams. 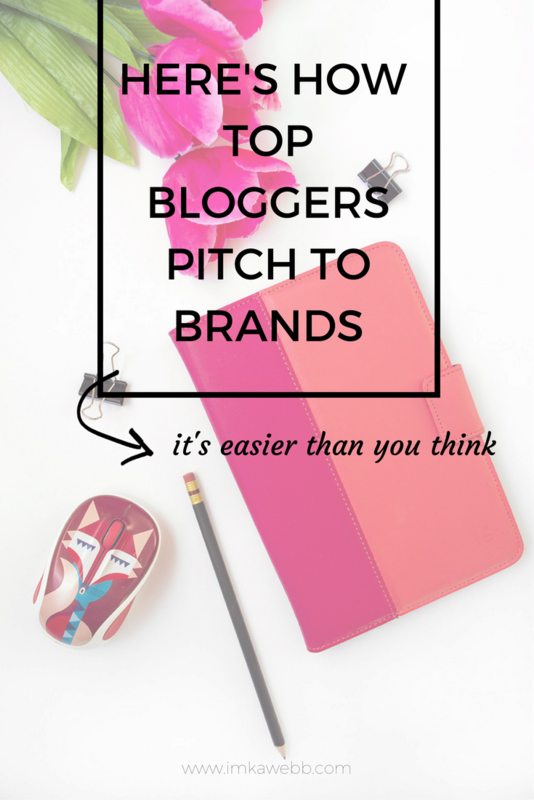 This has seen a growth in the number of bloggers in South Africa and bloggers been used in many marketing campaigns. Webfluential is a fantastic platform that bloggers , influencers and brands can use to create relationships and earn money from blogging and their Social Media platforms. Check out www.webfluential.com for more information and do not waste time signing up and start earning. The best part of this platform is that they do all the work for you in terms of putting you forward to clients for potential jobs and handle all the payment and you get paid into your account directly. So besides using a company like Webfluential there are other ways for bloggers to connect and work with brands . Having started my blogging journey in 2011 , never did I think I would have be working with some pretty amazing brands and experience a variety of exciting opportunities. So I will share some of the things I did and that worked for me personally. Not everything will work for you so find your strengths and focus on them in forging a connection with a brand. One can connect with a brand in several ways including the roles of Brand Ambassador, Guest Blogger or product reviewer. Create content and blog on a regular basis. This shows brands your activity and your readership in terms of comments and shares of your post. Brands also ask for your Blog Stats for the last 3 months, so the more you write the higher your stats are. But remember it is quality over quantity so ensure what you are putting out is off a good standard. Connect with brands and products that fit with your blog niche for example is you are a Book Blogger you should not connect with a Fashion Brand unless they have a line of clothing or products following a literary theme. A Media Kit! This is a very valuable tool that can be sent to PR companies. A media kit is a snapshot introduction of you as a blogger and your blog. CANVA is a great tool in helping you create a Media Kit. The lovely folk at Webfluential have also created a tool to make compiling a Media Kit super easy, so sign up and check this out. Email introduce yourself to PR teams and ask to be included on their Media List. In this email you can include your Media Kit and a short introduction of who you are. Contact details, it is important for Brands and PR teams to be able contact you for events and reviews. Ensure you have a Contact page on your blog and that an email address is included in all your bios on your social media profiles. A Linked In profile is another fantastic platform to share your blog posts and connect with PR teams. Social Media is a vital tool that bloggers can use to connect with brands. Make sure that your profiles are not private so that brands can find you. Do not write reviews on products that you have not used. Be honest with reviews and state if posts are sponsored. As a blogger it is important that a relationship of trust is built between you , your readers and brands. Building a successful blog brand does not happen overnight and neither does working with brands. Work hard on your blog , read more blogs and connect with other bloggers.